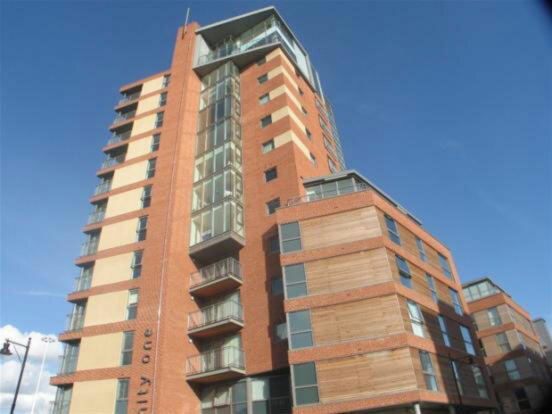 Trinity One is a fourteen storey apartment block on the east edge of Leeds city centre. This red brick tower could easily have become a rather unsightly urban stalagmite but Trinity One has much more about it than that Some lovely conflicting angles contrasting colours and sections of differing styles result in a structure that is thoroughly pleasing on the eye This really is a great location for a modern apartment block. The Calls is only a five minute walk away and there is a lovely pedestrian bridge nearby that will take you to Clarence Dock. And of course being this close to the city centre means there are plenty of shops pubs and clubs right along the road. 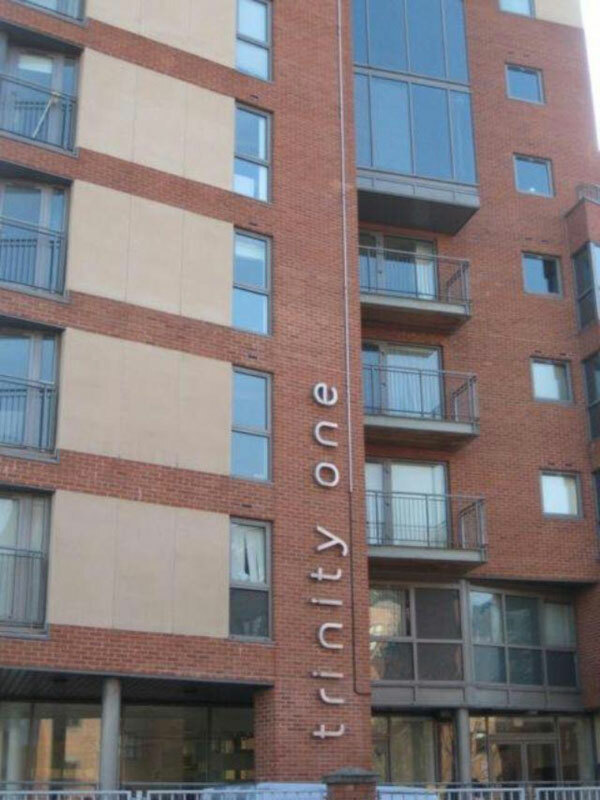 The Trinity One development is home to an impressive 111 apartments and these are all of a very high calibre; top quality fixtures/fittings large windows and some superb views of the surrounding area.